HOW NOTHING BECAME SOMETHING ! Who discovered 'zero' ? Indian,Persian, Arab or European ? 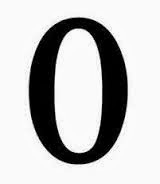 All through my school days and thereafter, I have been taught that Indians introduced the concept of 'zero' to the rest of the world. I never thought someone else questioned that notion - till I landed in Doha. Over the last three decades while I am in Middle East I have observed that the Arabs believe that they have done it. Specifically in a science exhibition in Doha some time back, I have observed that it was explained so beyond any doubt! Europeans in general think that everything with science and history, except for the last century which went in favour of Americans,they are the pioneers. Many civilizations- Babylonians,Greek, Mayan, Roman, Egyptians, Indian, Chinese-always had varied primitive concepts of a 'zero'. The common factor and bottom line among their concepts was that 'zero' is nothing. A Indian named Pingala has clearly mentioned about 'sunya' meaning empty or void in Sanskrit as back as in 300-200 BCE. Among the older civilizations none could move beyond that concept until 6th century. Brahmagupta in 650 AD was the first to see that zero can be used for something beyond nothing.He was a maestro among early Indian mathematicians and hailed from Rajasthan. He was a member of royal assembly of the king Vyagramugha . His best known book written those days in known as ' Brahmaphudasidhanta meaning 'Corrected treatise of Brahma' . In fact he has experimented with zero many ways. I do not wish go details to quote some because I am afraid the average reader of my blog may get bored. Ancient India has contributed a lot for Mathematics and other sciences - pure maths,algebra,trigonometry-geometry etc- through stalwarts like Aryabata, Mahavira, Bhaskara and others.World of Maths consider contributions made through these ancient science teachings which were evolved from Vedic Maths(Mental Maths) as the base of all the consequent developments evolved elsewhere in the world. 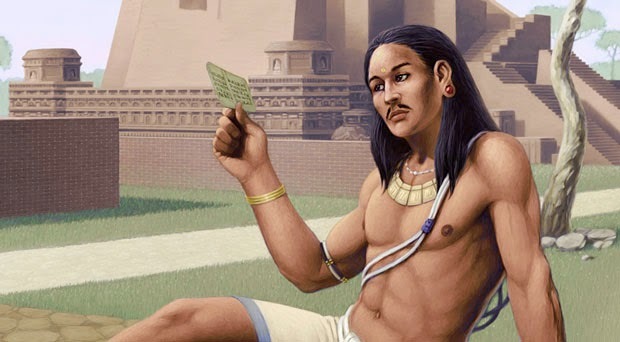 Another noted precious gift of ancient India to the world is decimal system. Brahmagupta argued that the earth is is round unlike others who believed that it is flat those days! He calculated year as 365 days,6 hours,5 minutes and 19 seconds, less than 20 minutes off of the actual value which was perfected centuries later!! His finding on the 'gravity' is even more astonishing. He has observed in one of his books that 'bodies fall towards the earth and it is in nature of the earth to attract bodies just as it is in the nature of water to flow'. Although it is sad to note that in the modern India these scientific discoveries made many centuries back is yet to reflect on standards of living of common man ' thanks' to our political system, it can be seen that if more than 20% of specialist medical doctors, software engineers in Microsoft and scientists in NASA in US and hundreds of thousands of them in India is not by a fluke!! We have to read this with the unfortunate truth that more than 50% of Indians defecate in open to this day ! This is India as it stands now!!! Arab and Persian voyagers who frequented Indian ports for spices and other exotic items for which India was famous, also took the concept of 'zero' found out by Brahmagupta to their lands .It was a time Islam brought a new awakening of learning - " to acquire knowledge and seek learning though it is be as far as China" in the Arab lands. They collected as much of the world 's written knowledge as they could and translated to Arabic. Brahmaphudasidhanta and other Indian works were translated to Arabic. Al Khawanzini (Mohd Ibn Musa Al Khawanzini) was born in Persia (Iran ) but later moved and settled in Baghdad(Iraq). He learnt Sanskrit and studied all the available works in this regard from India. He later came out to be a renowned Mathematician, astronomer and geographer, one of the best world has produced .He introduced Indian - Arabic numeral system. 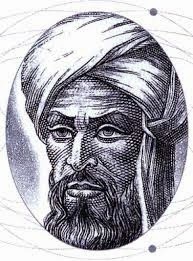 including the notation for zero(0) .All his works were written in Arabic between the years 813 and 833 including a book titled 'Al Khawarizini on the Hindu Art Of Calculating'. He is considered to be Father of Algebra, derived from his work titled 'al-jabr'. Zero landed in Spain when the Muslims (Moors) conquered it by the 12th century. 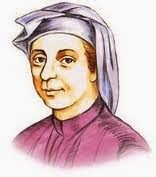 Italian mathematician Fibonacci based on the works of Al Khawanzini and developed further the use of 'Zero'. Leonardo Fibonacci is considered to be the most talented Western mathematician of those times. He introduced Hindu-Arabic numeral system to Europe through his work Liber Abaci (Book of Calculation) in 1202. Although not initially , his new introduction was widely used by traders to balance their books and professional accountants took a cue to make balance sheets where the positive and negative amounts of their assets and liabilities equaled zero.Zero was introduced to English only in 1604!! Journey of 'zero' in a sentence! Indians found out the concept which they named it as 'Sunya' meaning empty in Sanskrit, Arabs perfected it and called it 'Cyphr' derived from the word 'Sifr' which is the Arabic equivalent of empty . Italians developed it further and called 'Zefiro' based on the Arabic word for zero, eventually it became zero from the french use of ze'ro! !